It used to be so easy to locate online versions of book reviews and features. Now it is very hit-and-miss. There was a very good feature about Mary Hoffman on Saturday. But it's not listed on the timesonline's book section. And doing a search by subject (hoffman) author (craig) or title (veteran in her prime) throws up no result! I've been experiencing this difficulty for a while now, and have complained about it here once before. So if anyone is clever enough to retrieve the url for this Mary Hoffman feature, please let me have it, as a comment or an email. The news report links to the actual letter. You will need to scroll through several pages to read the list of signatories. Seven Stories has reached the finals of the National Lottery Awards 2008. The second and final round of public voting takes place from 21st July until 8th August. Visit www.lotterygoodcauses.org.uk/awards and click on Best Education project to cast your vote or call 0845 386 8088. Winners and runners up will be announced during a live Awards show on BBC1 on 30th August. Each category winner will receive £2000. The link is to the Young Adult reviews in last weekend's Telegraph children's special coverage. The page includes links to the other reviews: picture books, adventure fiction, historical fiction, fantasy and audiobooks. I couldn't agree more with Vivien Hamilton, reviewer of the teenage fiction titles: "The best of the books in this often awkward category is the extraordinary, exquisitely written The Ghost's Child (Walker Books, £6.99) by the award-winning Australian novelist Sonya Hartnett." I shall be adding a 5-chick review of this title to the ACHUKA reviews section myself. ACHUKA is sent details of so many regional awards it's hard to keep up. We try and report as many was we can. I recommend this award's website. It's very good indeed. Created by the same designers behind the Doncaster Book Award site. The strength of Philip Reeve's writing has always been its ability to distinguish degrees of difference existing between 'North' and 'South' on the moral compass. Challenging concepts of 'good' and 'evil' through an awareness of the complexity of motivation and choice that present circumstances allow makes for multi-faceted fiction of the highest order. What a genuine pleasure therefore to see these achievements given due and formal recognition recently through the award of the prestigious Carnegie medal to Reeve. Celebrating its 70th anniversary last year, the Carnegie medal has played an important role in providing focus and advocacy for a diverse range and style of children's book. Its winners share an ability to convey the messages of their time, to encapsulate thoughts and opinions and to highlight systems of belief that introduce readers to a worldview capable of holding in balance complexity, convention and apparent contradiction. Continue reading Opinion Piece by Jake Hope. No, suitability is not so simple. Tell it to the agebranders. I'm very grateful to both grk-author Josh Lacey and Judy Zuckerman of the Brooklyn Public Library for pointing me to this excellent article. I'm not quite sure what Kate Thompson will make of that! Is Philip Ardagh suggesting Creature Of The Night will continue to puzzle those mystified by the author's popularity or, as I think more likely, does he think it will win them over at last. See the link to Caroline Larence's own blog for more details. Before I Die by Jenny Downham, edited by David Fickling and published by David Fickling Books, has won the Branford Boase Award, awarded for an outstanding debut novel for children. For David Fickling, it is two winners in a row, with A Swift Pure Cry by Siobhan Dowd having taken the prize last year. Finding Violet Park by Jenny Valentine, edited by Stella Paskins at Harper Collins, was Highly Commended. Philip Pullman presented Jenny Downham with her award (a cheque for £1000 and a hand crafted silver-inlaid box) at the ceremony, hosted by Walker Books. Philip Pullman observed of the winner: "Before I Die is a truly remarkable book, and one that shows that as well as being able to pick authors of startling and undeniable talent, David Fickling has lost none of the enormous tact and skill that makes him such a fine editor. I very much look forward to seeing what Jenny Downham goes on to write next - as well, of course, as seeing what David Fickling discovers!" 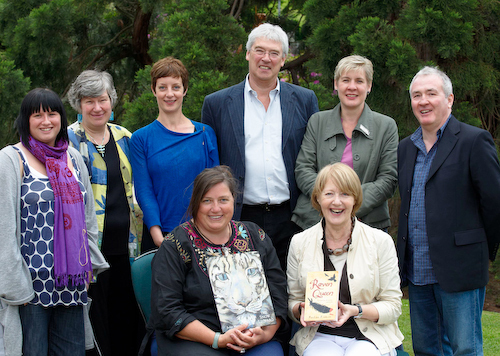 David Fickling's response was, "Winning The Branford Boase once was a great honour. Winning it twice in a row, this time with Jenny, has left me nearly speechless. I love this award because it recognises the finest of our new writers for young children and in my view is chosen by people I deeply respect according to criteria which my own publishing heart responds to (if publishers can be said to have a heart!)." I am disappointed not to have made it up to London for this evening's presentation of the Branford Boase Award (for reasons of weather & work), because I hoped to speak to Philip Pullman who was due to be at the event. Simon Juden [Chief Executive of the Publishers' Association] opened by acknowledging in guarded and cautious terms that the presentation of this matter from their side had perhaps not been ideal, but that he and the publishers were very anxious to stress that their intention had never been to impose age-guidance (that is the term they prefer to use) on authors without full consultation, and that he thought it would be a good idea to take some of the emotion out of the discussion and simply deal with the facts. It was particulalrly about the impact of agebanding - the publishers prefer to call it age-guidance [lol]; I prefer to call it branding - on school classrooms, school libraries and parental attitudes to reading that I would have welcomed ten minutes of Pullman's time. How many more 'dreadful inhouse mistakes' are there likely to be? For the rest, Bostock said, "well over half of the books being published this autumn will have age guidance, but all of them have agreement from the authors." But how graciously and willingly has such agreement been given? I know of signatories of the petition who have confided to me that when asked by their publishers if they were ok about having the 'guidance' on their books didn't object because, like most authors still building a reputation, they are desperate to keep on the right side of their editors and inhouse team. 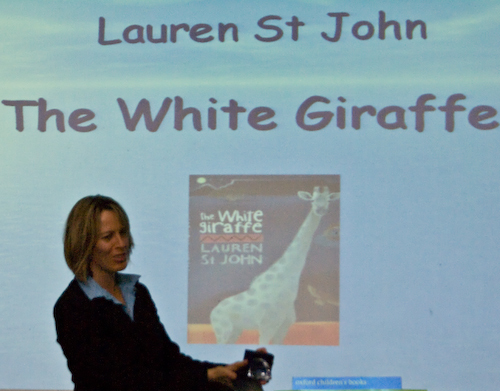 Lauren St John was declared the winner last week of the East Sussex Primary Schools Book Award. See the weblink for the other shortlisted titles. Scottish Book Trust's (virtual) Writer In Residence, Keith Gray, has produced five video tutorials on how to write a great story. Together they represent a a really valuable, free online resource for would-be authors of any age, and indeed for teachers. Raven Queen and winner of the 12+ category). The winner of the top prize for the Picture Book category was Jackie Morris with The Snow Leopard. As well as a number of the short listed authors, attending the event were 142 pupils from 45 primary and secondary schools across the Highlands that had taken part. Frances Lincoln Limited, an award-winning publisher, and Seven Stories, the Centre for Children's Books, an innovative cultural centre for children's literature have announced that they have created an award in memory of Frances Lincoln (1945 - 2001). TODAY, award-winning Edinburgh-based writer Keith Gray launches his latest novel, Ostrich Boys. Like any writer, he is aiming for as wide a readership as possible, from children aged around 11 or 12 to adults. To his dismay, his publishers have insisted that the cover exclude most of these readers with just one word. "Teens", it proclaims in print - not even on a removable sticker. "Would those queues for Harry Potter have been so long if the books had had a 'Teens' sticker?" he asks. "Younger readers wouldn't have bothered with it and neither would most of the grown-ups. "The whole age-banding thing is a nonsense, and I'm very pleased JK Rowling is supporting the campaign against it."